I got to sit down with one of the producers of the movie “Expelled”, John Sullivan. We talked about intelligent design, and the making of this very important film. 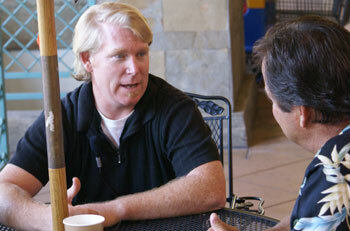 Listen in to hear this fascinating interview. See more photos here. Learn how you can get your own copy of the DVD by clicking here. Across America, the freedom of scientists, teachers, and students to question Darwin is coming under increasing attack by self-appointed defenders of the theory of evolution who are waging a campaign to demonize and silence anyone who disagrees with them. 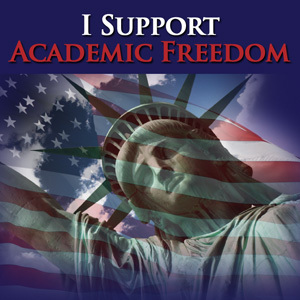 If you agree with this statement please click the link below and join other Americans in supporting academic freedom. Petitions will be delivered to appropriate state and federal education officials and departments.